Localist, an interactive online calendaring platform for marketers, is putting its focus on small businesses with the launch of its newest plan that offers brands a calendar tool for promoting events. 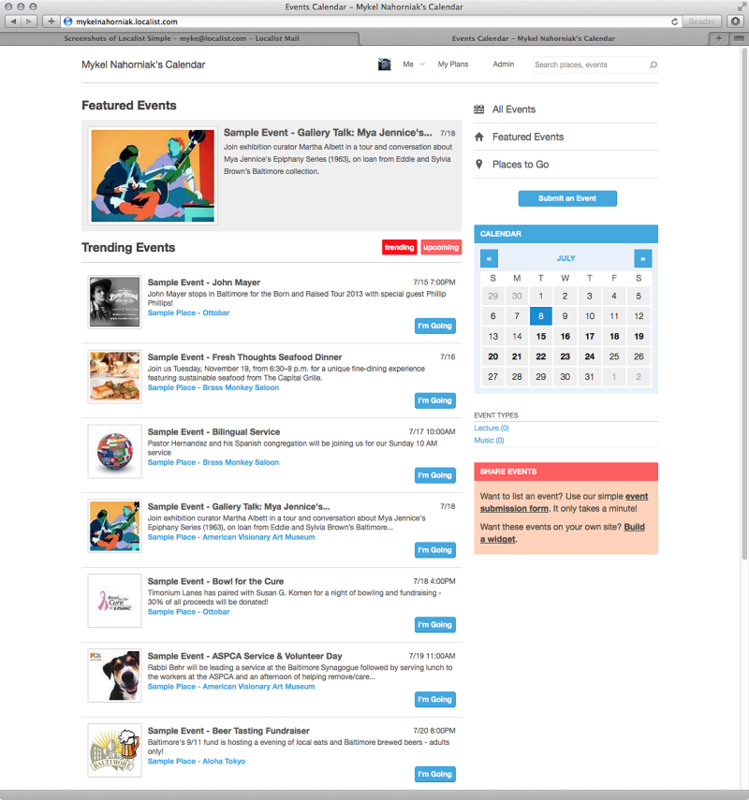 The new plan, dubbed Localist Simple, helps small businesses with their event and content marketing needs by providing a branded online calendar that can be integrated into a business’s current website so events can be published and promoted. Localist Simple users also have access to features like custom domains, custom color schemes, the ability to promote unlimited events, responsive design, widgets and email support. 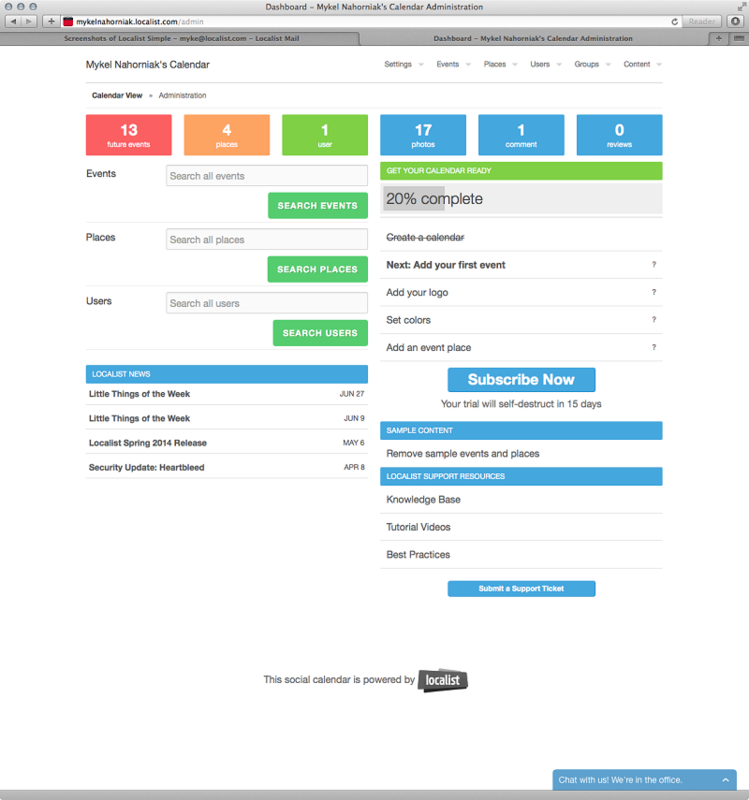 The platform aims to help marketers save time, improve attendance metrics and increase brand awareness. It is also important to note that Localist Simple is available for $19 a month.